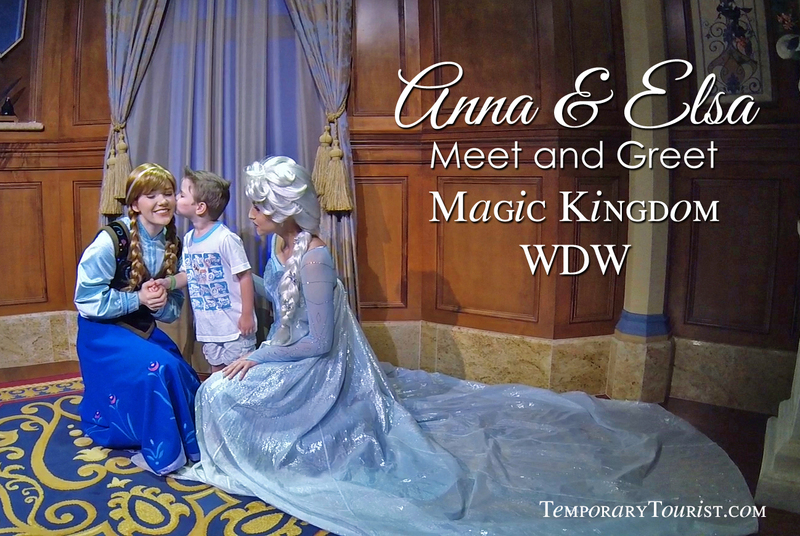 Have you ever had the chance to meet Anna and Elsa at Disney World? If you’ve been to the WDW parks since the end of 2013, you’ve probably seen the long lines of guests waiting for their chance to meet and get pictures taken with the sisters from the hit Disney movie Frozen. Originally in EPCOT’s Norway Pavilion, Anna and Elsa are now meeting their fans inside the Princess Fairy Tale Hall at Magic Kingdom’s Fantasyland. The “PFT” Hall has undergone additions and updates in the past year to accommodate more princesses for guests to see and visit, so it made for a natural place for Anna and Elsa when they moved from EPCOT in April 2014. Princess Fairy Tale Hall consists of two sides holding meet and greet rooms for two sets of princesses: Anna and Elsa are on one side while Cinderella and Rapunzel are on the other. Lines form outside where guests can choose which set they would like to see. Fast Pass Plus (FP+) are available for guests to pre-schedule a time to come to the PFT Hall to see the princesses of their choice at their leisure. Photo room inside the Princess Fairy Tale Hall. 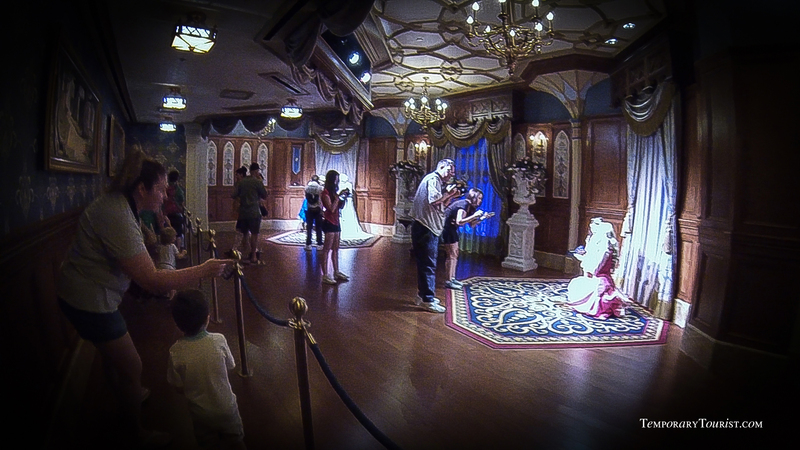 Each room has two photo spots for guests to take pictures with the favorite princesses. We’ve only seen Anna and Elsa when they’ve been together, as you’ll see in our video below. As of June 2014, Anna and Elsa are now in separate spots in the same room, so unfortunately guests won’t be able to get a single picture with both of the princesses. You’ll only be able to get a single picture with them separately. After guests are inside the Princess Fairy Tale Hall and reach the “merge line” (the point where the standby line meets the FP+ line), guests will then be ushered past a glass encasing Cinderella’s shoe. Walking past the shoe, guests will then follow a Cast Member into the meeting room with the princesses of their choice. Once inside, they’ll wait their turn to have a chance to speak with Anna and Elsa and then have pictures taken. Please share your experiences with Anna and Elsa. We’d love to hear from you!